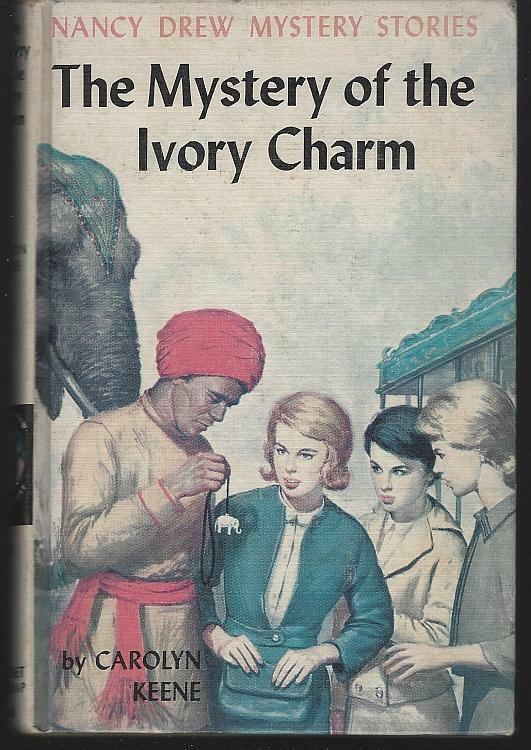 Mystery of the Ivory Charm by Carolyn Keene. New York. Grosset & Dunlap. 1936. Hardcover. Very Good with no dust jacket. Edgewear. Matte yellow cover with blue multi endpapers. Nancy Drew Mystery Story Vol. 13. Black and White Illustrations. 216 pages. Items Similar To "Mystery of the Ivory Charm by Carolyn Keene Nancy Drew #13 Matte ..."